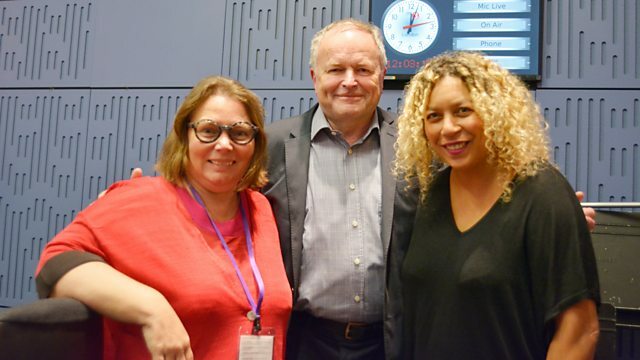 Clive Anderson and Arthur Smith are joined by Peter Hain, Joanna Scanlan, Alex Lawther and Salena Godden for an eclectic mix of conversation, music and comedy. With music from Oi Va Voi and Sabiyha. 'Pin Cushion' is in cinemas from Friday 13th July. 'Pessimism is for Lightweights' is published by Rough Trade Books and is available now. 'The Jungle' is at London’s Playhouse Theatre until 3rd November. 'Mandela: His Essential Life' is published by Rowman and Littlefield on 18th July. 'Memory Drop' is available now on V2. Oi Va Voi are playing at London's Omeara on 26th July. 'Hollow Bones' is available now. Sabiyha is playing at The Victoria, in Dalston, London on 26th July.